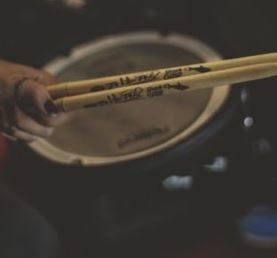 After getting feedback on our popular article on The Best Electronic Drum And Percussion Pads – A Drummer’s Guide, we have decided to write a follow up to cover the best cheap options available online. These are great for both adults and kids that want to start using electronic drum pads right away. These options are not as fully featured as the pads in our original article. However, they are generally available at a much lower price. Great for fun and improving your rhythm: includes speaker, coach and game functions. 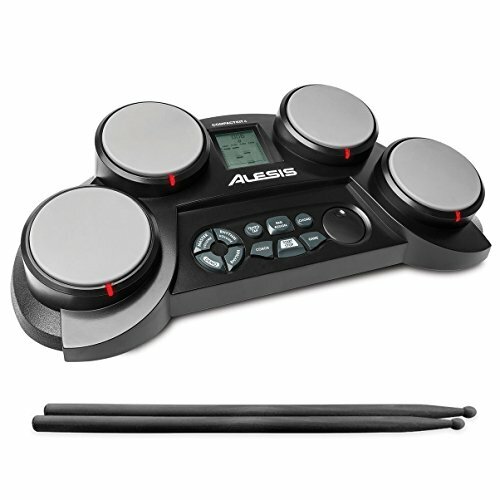 This is a very portable set of electronic drum pads that includes a built-in speaker, headphone output, music coach, and game feature. If you’re looking to improve your rhythm and have fun in the process, then this could be a great option. It can run on batteries or AC power. 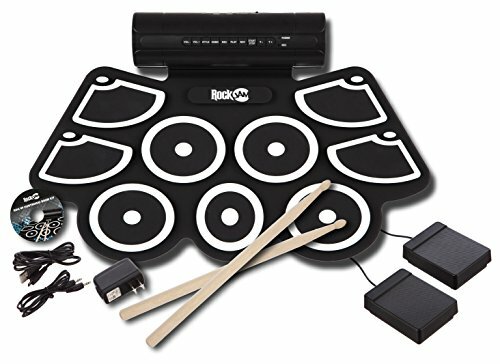 This does not have MIDI capability so it’s not a serious option for music producers, but it’s a really nice set of pads for beginner drummers and kids. We already talked about this one in the previous article, but it’s very relevant for this one also. The PylePro portable drum set can be run on batteries or AC power and it comes with 25 different presets. It also comes with 2 pedals and it has MIDI compatibility. 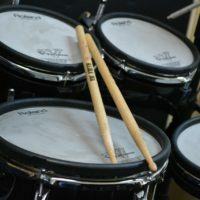 Therefore, this could be a good budget option for those wanting to record some electronic drum tracks on their computer for music recordings. 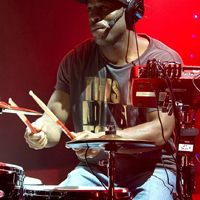 For more information check out our more detailed review on PylePro Portable Drums. This was briefly added as a notable mention in the previous article. It has some limitations but it comes in at a super low price. Please note, this pad does not contain speakers. 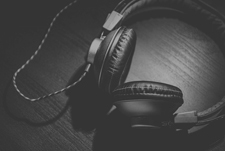 Therefore you must use a set of headphones or an external amplifier to hear it. You can customize the arrangement of internal samples onto the 4 pads. However, a major drawback of this pad is its lack of preset saving ability. Therefore you cannot save multiple different arrangements. However, the pad does remember your last arrangement. It does have MIDI capability. 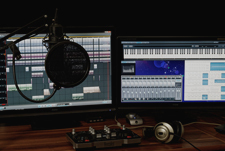 Therefore you could record and trigger external sounds using computer software. 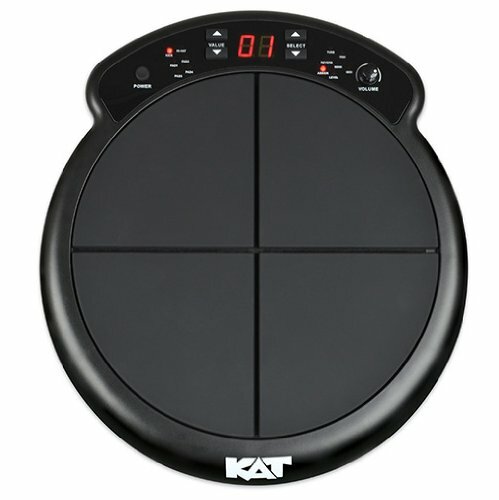 Check out our more detailed review of the KAT percussion pad, including more information on how to extend this out to become a mini e-drum kit (buy using external kick and hi-hat pedals). 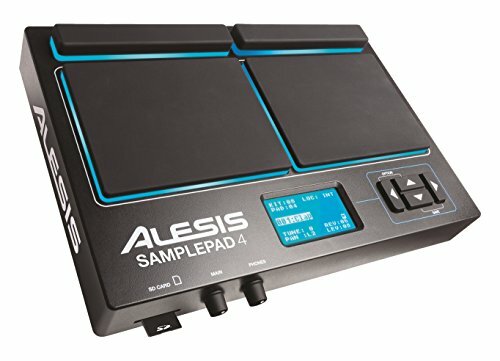 The Alesis SamplePad Pro is a serious contender with the top sample pads available, now we move onto its little brother: The Alesis SamplePad 4. The SamplePad 4 has half the number of pads as the SamplePad Pro, but it comes it at a much lower price. 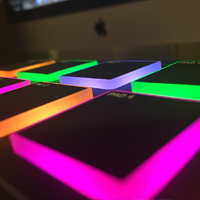 If you’re looking for a fully functioning pad with custom sampling, custom presets, SD card storage, MIDI output, then this could be a good option for you. Its internal sounds are a lot more limited, it only contains 10 preset kits. However, you can download and add your own samples via the SD card. Now for something quite different! This is a roll up drum kit which can be quickly folded out and played on a table. It includes foot pedals which mimic the bass drum and hi-hat of a real kit. It contains 9 drum pads, with built-in speakers. It also includes a set of drumsticks and a power supply. If you want to learn more, check out our more detailed guide on roll up drum kits. 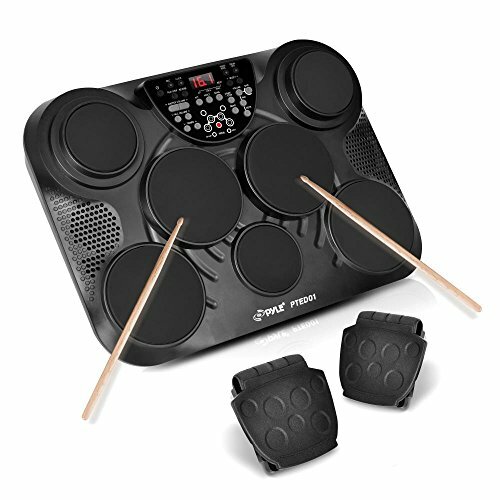 That was our brief introduction to the best cheap electronic drum pads available to buy online. 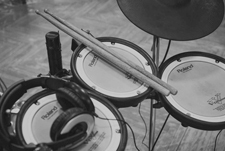 If you have a budget for a more fully fledged option then be sure to check out our original article on the 7 Best Electronic Drum Pads.